The AR-15 .223/5.56 Rifle barreled Upper Receivers come in different Barrel Lengths with an option to choose 416R stainless steel or 4150 steel with Nitride finish on Barrels. 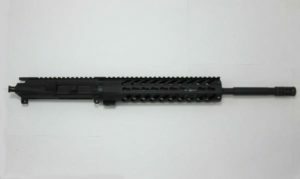 These barreled Rifle Uppers chambered in 5.56 can also have numerous length Handguards and a variety of color finishes. 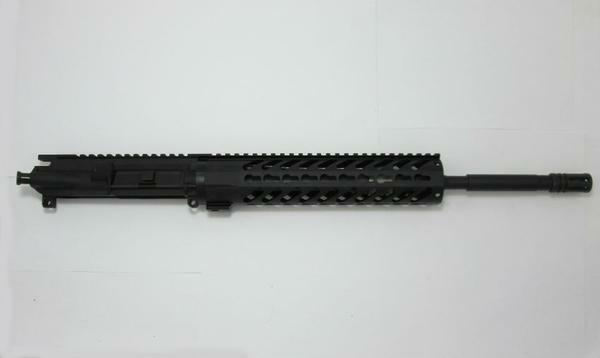 Available keymod, m-lok, or quadrail Lengths on the AR-15 upper include: 10" - 12" - 15". The colors to choose from on your AR-15 upper receiver and handguard are Black, Flat Dark Earth, Burnt Bronze, OD Green, Zombie Green, Tungsten Grey and Titanium Blue.